Over 100 pickup flatbeds for trucks for sale! Installed while you wait!In stock at our Carterville and Mount Vernon, IL stores! We sell and install pickup flatbeds, pickup dump bodies, dump beds, dump flatbeds, and service bodies. We stock CM flatbeds, Bradford Built flatbeds, CM Service Bodies, Dump Bodies, Platform beds, and Aluminum Flatbeds, and can get any Knapheide Service body or Knapheide Flatbed you want. 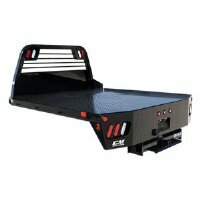 Check out our inventory below or call us at 618-242-0800 and we will help you with your pickup bed needs!